• Protects expensive bags from hidden glass, sharp stones. • Helps protect against cuts and deflation. 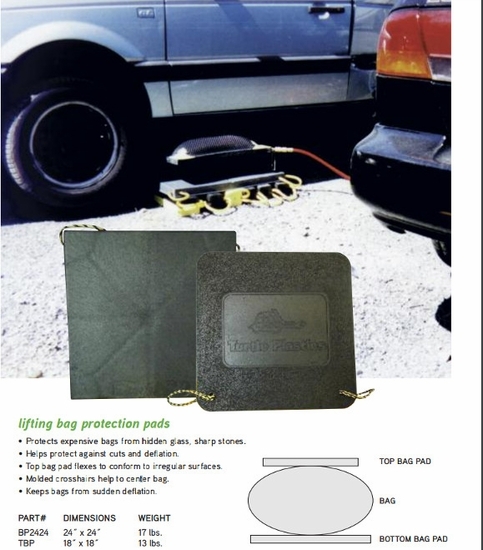 • Top bag pad flexes to conform to irregular surfaces. • Molded crosshairs help to center bag. • Keeps bags from sudden deflation. BP2424 - 24x24 17 lbs. TBP - 18x18 13 lbs.